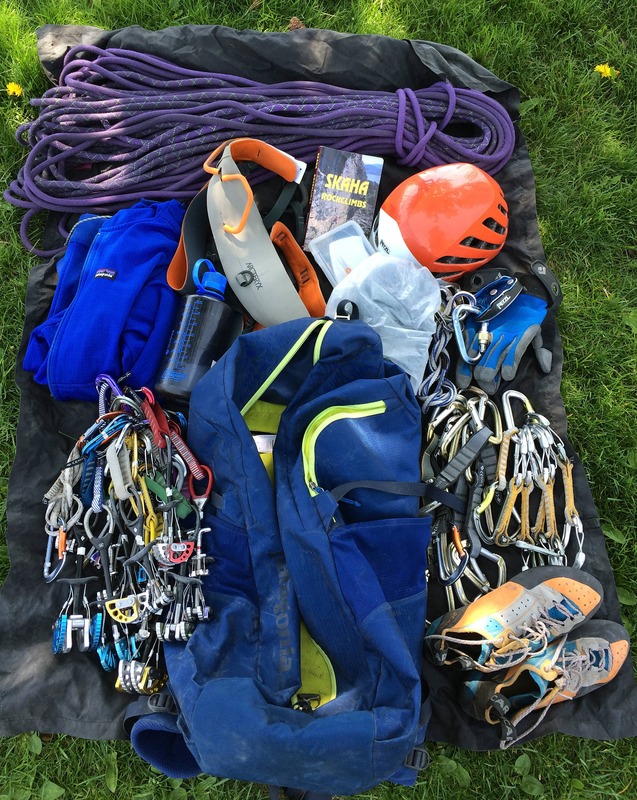 Spring is here once again and many of us are taking our rock gear out of the dark corner that we threw it into after our fall climbing trip and getting ready to hit the crag. To cart all that lightweight but surprisingly heavy gear around most outdoor companies have been coming out with very specialized cragging packs. No longer do you have to use your humble everyday top-loader to carry everything to the local crag and then take it all out and spread it around the base of the wall so that it’s easy to find. Arcteryx has the Miura, Mammut the Neon Gear, Lowe the Crag Attack, Onsight the Black Mamba, Metolius the Sentinal and the list goes on and on. Patagonia’s contribution to this category is the Cragsmith 35L and the Crag Daddy 45L. We have already reviewed the Cragsmith but it’s time to look into The Daddy. The Crag Daddy is basically a hybrid cross between a duffel bag and a backpack. 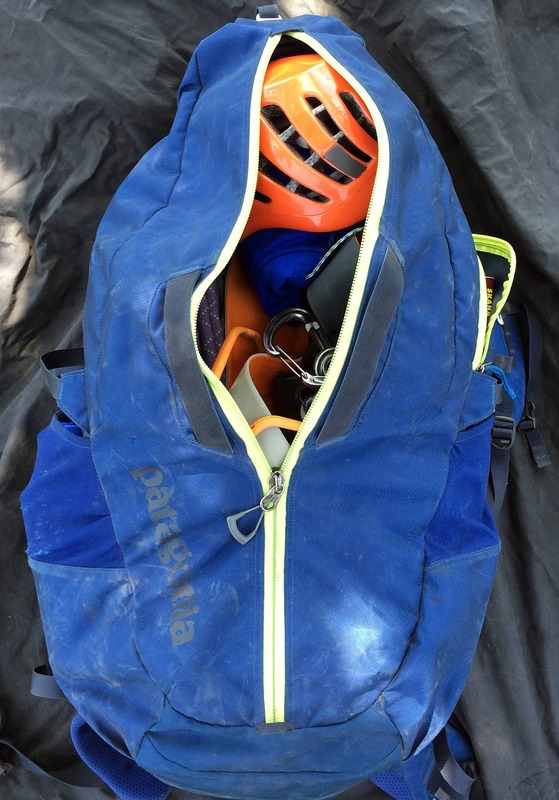 However, unlike many such hybrids, Patagonia has managed to keep the best traits of both to create a very functional pack for everyday cragging. The duffel-esq bag is easy to load up with a large heavy-duty zipper that runs the entire length of the pack. Just throw everything in and zip it up. While this style of pack makes it easy to move from climb to climb (without even zipping it closed) it doesn’t allow the pack to open up as much as the suit-case style zipper of the smaller Cragsmith bag. 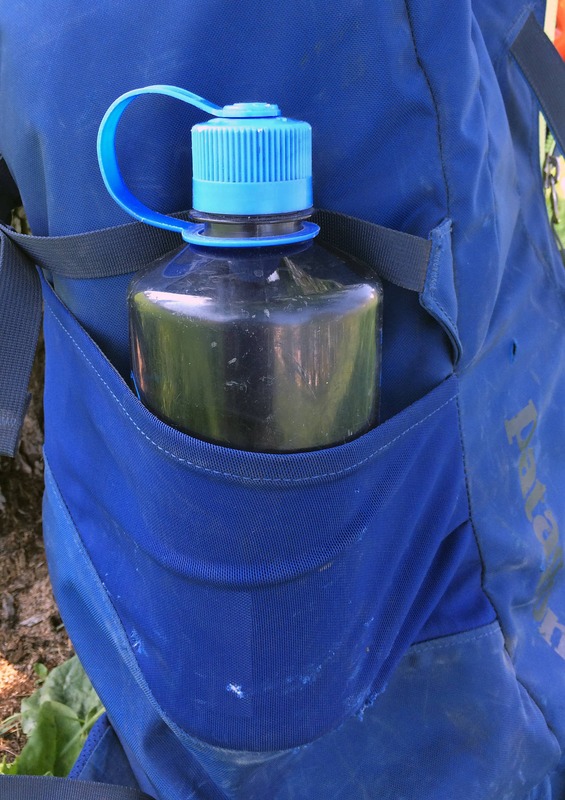 There are two large and very deep pockets with a mesh top on each side of the pack that work really well for water bottles, flip flops and the jacket you might need to ditch on the walk in. The depth of these flexible mesh topped pockets is a nice feature though the mesh is not as durable. 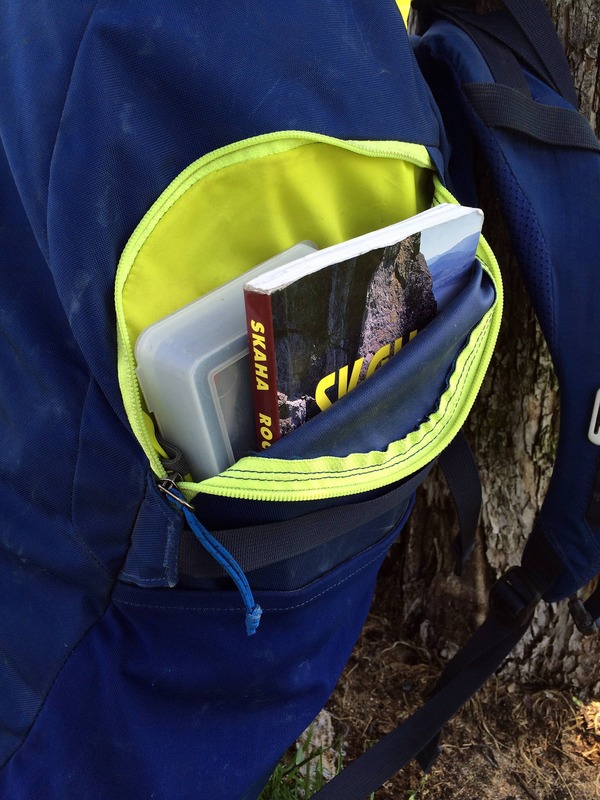 On one side there is also a large zippered pocket that works well to hold belay glasses, guide book etc. There are additional organizational sleeves within this pocket but I haven’t found a use for them. 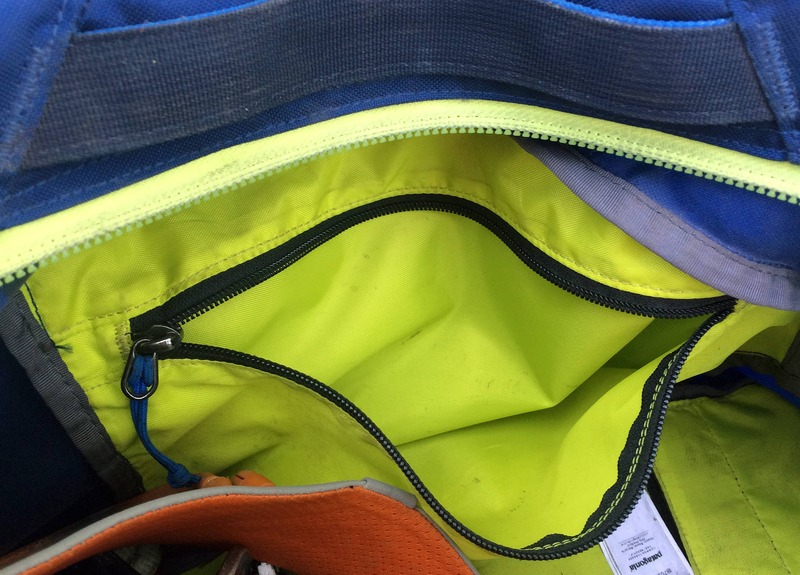 A large zippered side pocket is found on one side above the mesh-top side pocket, perfect for guidebooks, etc. Within the main compartment of the bag there is also a smaller zippered pocket that is great for storing smaller items that you don’t want to lose like a phone or car keys. This pocket is located well within pack though and not easy to get at when it is fully loaded. Despite the duffel-esq look to the bag it carries exceptionally well with a firm internal frame, a back pad that stops anything from pocking into your back and comfortable and supportive shoulder straps and waist belt. 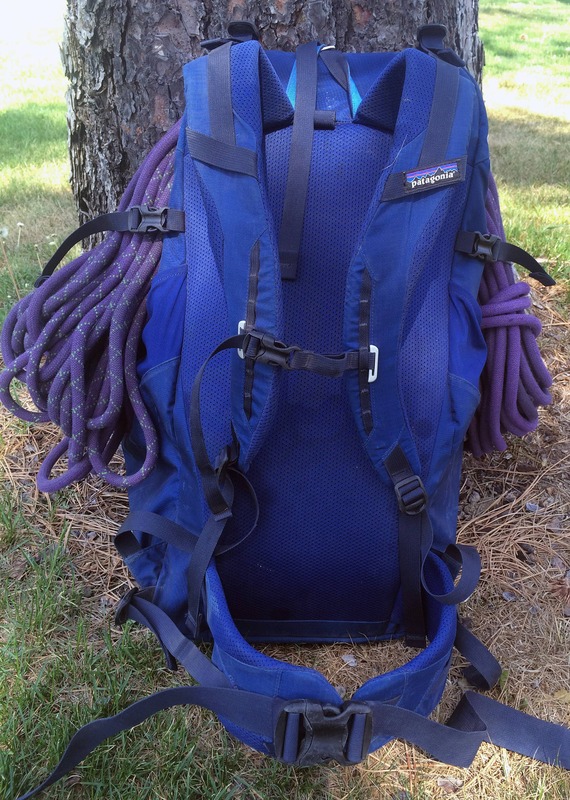 The 45L capacity of the bag is sufficient to carry everything needed for a day of sport cragging but can be a little small for an Indian Creek style rack and rope. Fortunately there are external rope straps that functionally increase the capacity by allowing the rope to be carried on the outside of the bag. Some of the advertisements for this pack indicate that it can double as a rope bag/tarp when cragging. 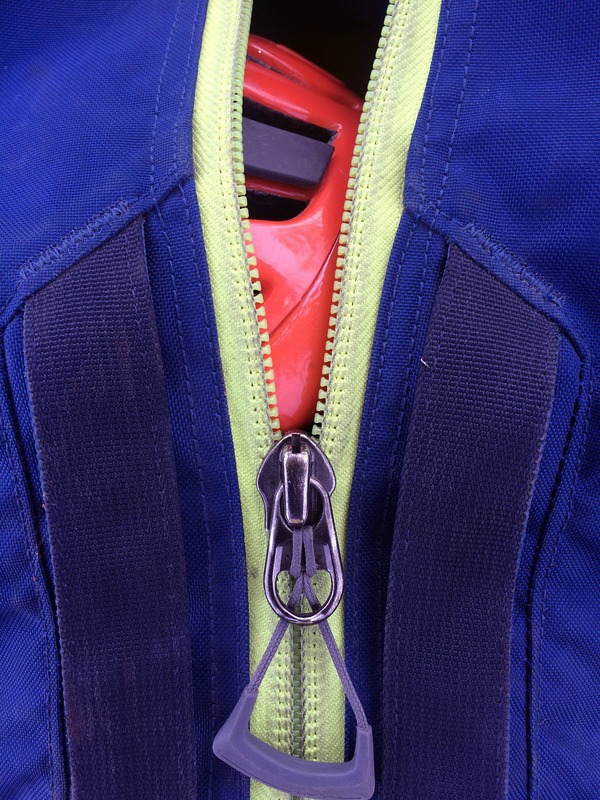 The zipper that runs down the centre of the pack doesn’t allow it to open any more than a standard duffel bag would and so I find it a little small and finicky for this purpose and prefer to simply bring a rope tarp. Single centre duffel zipper does not allow the bag to open as much as the suit-case style zipper of the smaller Cragsmith bag. Mesh side pockets are not as durable as the rest of the pack. Overall: This pack carries well and has what it needs to be functional without a bunch of impractical flashy features. 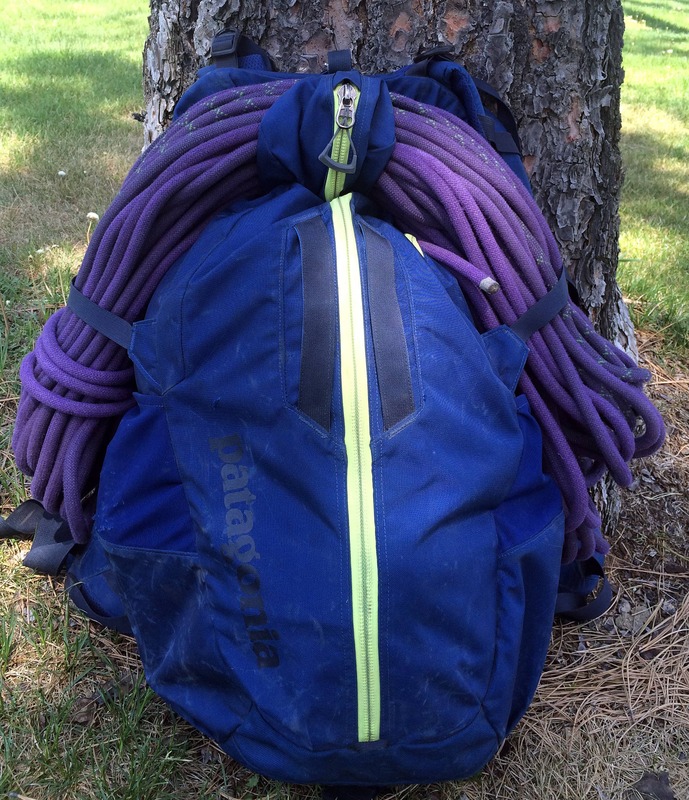 A great buy if you are looking for a larger cragging pack, my personal go-to for cragging.